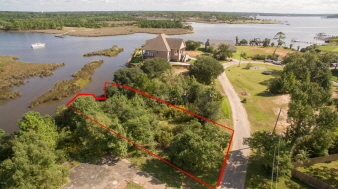 Waterfront lot with great views! over 50 feet on the water, there is plenty of room for your boat. Bulkhead needs some work, but it will be well worth the effort!! You won't find waterfront with deep water access for this price!